2 20th to 24th May 2013 Is old people snogging in public wrong? 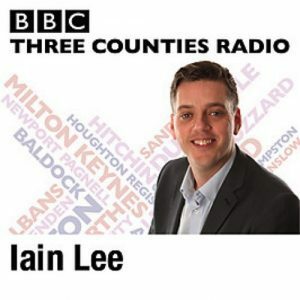 Iain Lee wants to know what you think. We also find out what George Michael was doing lying on the M1, and what does Iain's perfect evening involve? 4 3rd to 7th June 2013 Iain rants about Dr Who for two whole days and asks would you rather give your money to a beggar or a busker? 13 5th to 9th August 2013 Eyesight competitions with Tony Blackburn and Doctor Who, no seriously, who? 14 19th to 23rd August 2013 Justin Dealey Hijacks Iain's podcast this week. In it you'll find GCSE results, Ugly Hemel, bad jokes and what Iain thinks about Justin doing his job! 19 23rd to 27th September 2013 Iain is sent the new single by Chas n Dave... but does he get to speak to them about it? 21 14th to 18th October 2013 Cilla Black impressions, the panda debate and Iain hears from a woman who is repulsed by "enormously fat people"
59 4th to 8th August 2014 Featuring an in depth report on deadly spiders (an earwig, Daddy Longlegs and house spiders) and Iain tells you why he thinks the moon is arrogant!! 79 29th December 2014 to 2nd January 2015 Dave Davies from The Kinks spoke to Iain Lee... But other than that the podcast is "a hodge-podge of a mess"
85 9th to 13th February 2015 Iain tries to arrange a jolly boy's outing... however there appears to be an intruder. Will Producer Kath get her way? Find out in this episode of "50 Shades of Mayhem"
103 15th to 19th June 2015 More fun and games from Iain and team, plus a special appearance from a long-lost celeb! 105 29th June to 3rd July 2015 Iain talks to Peter Tork from The Monkees & there's a new kind of poker - Berry Poker! 115 7th to 11th September 2015 Why is the Queen better than you? What pop-culture impacted your bath time? 123 2nd to 6th November 2015 Iain and team tackle the big questions: Is Disney any good? Where's Wally? What did Dave want?